UNISON connects people who help each other live healthier lives. 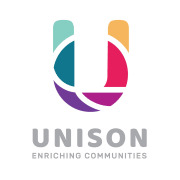 UNISON serves over 15,000 older adults, children and families in Milwaukee County annually from 40 community locations, over 50 public schools and thousands of homes. We support neighbors and neighborhoods through outreach programs. UNISON accepts donations. Donate Now.